How do you subscribe to the bikes for sale forum. Subscribe as in -- get an email each time there is a new thread started. Q: How do I subscribe to specific forums? 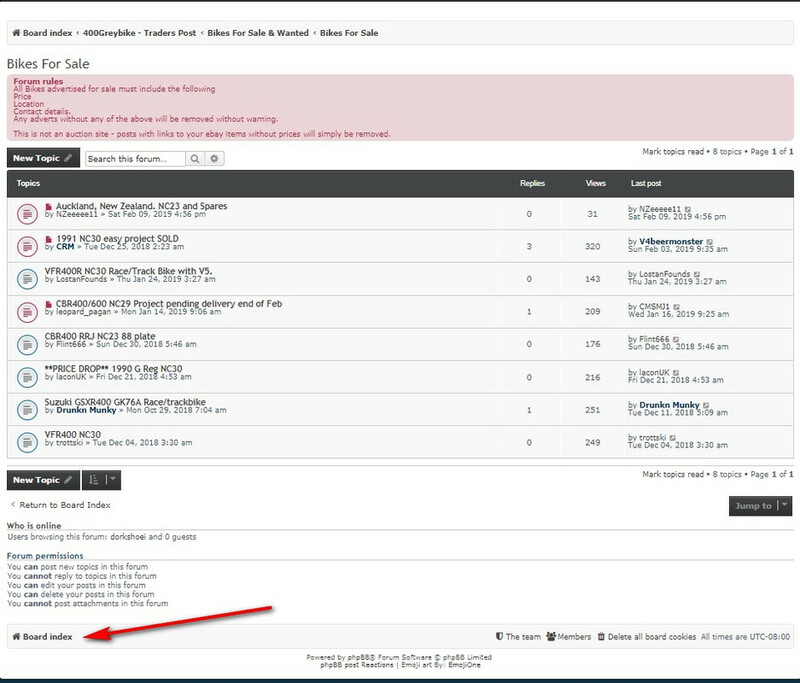 A: To subscribe to a specific forum, click the “Subscribe forum” link, at the bottom of page, upon entering the forum. No subscribe option. What am I missing? I've contacted the site admins twice now, once about this and once about a registration issue but no replies. For the forums that allow it, clicking on "subscribe forum" you get a popup "You have subscribed to be notified of new posts in this forum". If you then go to control panel, "board preferences", "edit notification options" you can select "email" for "Someone creates a topic in a forum to which you are subscribed"
It would obviously be nice to have this functionality for the "bikes for sale" forum. Go to the bottom of the forum - you have board index and a tickbox adn link - "subscribe forum"
There is no such option, checked or unchecked for the bikes for sale forum. That's the point. Also, what is up with the quoting blocks ([quote] [/quote]) on this thread? They don't seem to be recognized. See above.